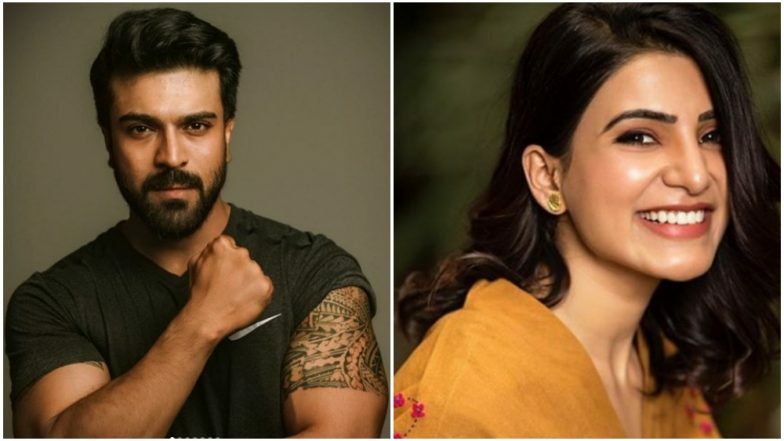 Samantha Akkineni and Ram Charan are the leading actors down south. These two stars predominantly work in the Telugu film industry. Samantha and Ram Charan were featured together in Sukumar’s film, Rangasthalam. The movie was a massive hit and there are many Tollywood lovers who are looking forward to see these two stars together in a film again. In conversation with Upasana Kamineni Konidela for B Positive Magazine, the Majili actress Samantha shared how Ram Charan is the only actor in the industry who undergoes body transformation for the films he signs. Has a Scene From RRR Featuring Ram Charan and Jr NTR LEAKED Online? Watch Video. Samantha Akkineni is a fitness addict and her Instagram posts are enough to prove. When the actress was asked, “One fitness rumour about yourself that you won’t mind”, she replied, “I’m the strongest as actress”. While the actress was discussing about the Hollywood stars’ workout routine and how inspiring it is, she mentioned how she could also portray a role that is physically challenging. That’s when Samantha happened to tell, “You (Upasana Kamineni Konidela) live with one machine, who keeps changing his (Ram Charan) body…Charan is the only actor who keeps changing with every film.” Majili Box Office Collection: Samantha Akkineni-Naga Chaitanya Starrer Emerges as a Winner Despite Facing the Wrath of Online Piracy. On the work front, Ram Charan is gearing up for his role in S.S. Rajamouli’s period drama. RRR. Meanwhile, Samantha Akkineni is basking in the success of her recently released film, Majili, in which she shared screen space with Naga Chaitanya.